Oak Wells Aquatics is dedicated to building exquisite living experiences through custom pools and spas. 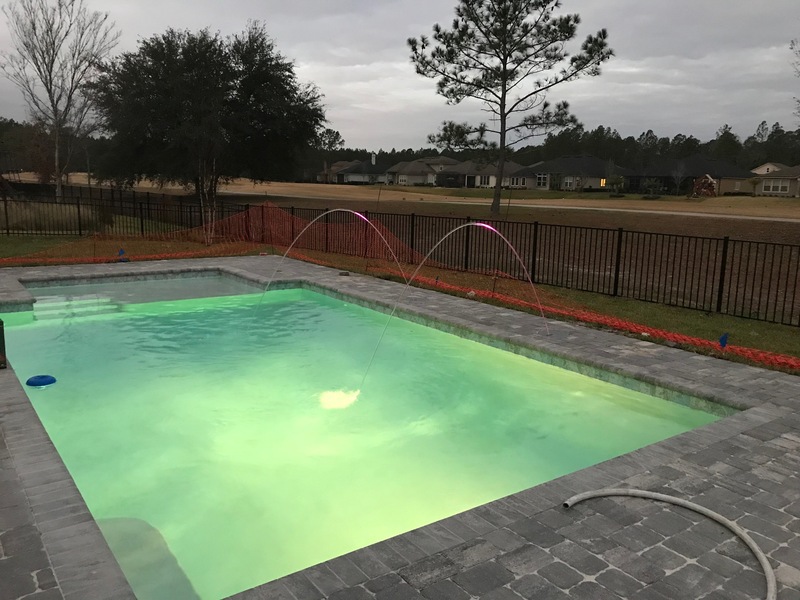 Oak Wells Aquatics is full service construction company that offers complete commercial and residential swimming pool and spa services to the Southeast. Oak Wells has 15 years’ experience. We build anything from Custom water parks, Fountain entrance ways to Lazy rivers. We are preferred contractor with many custom home builders. 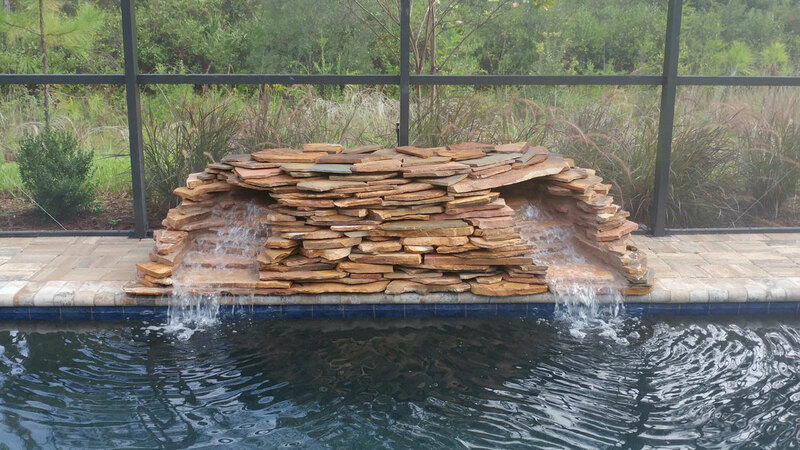 The construction of a custom pool, spa, deck/wall, or other water feature; is a true work of art. Oak Wells Aquatics perpetually looks forward to every opportunity we have, to help create an original vision. We guarantee you will find no other company more honored and devoted to guiding you through the entire experience. To maintain a quality and responsible pool and spa construction company our employees must possess an ample and rare combination of skills. 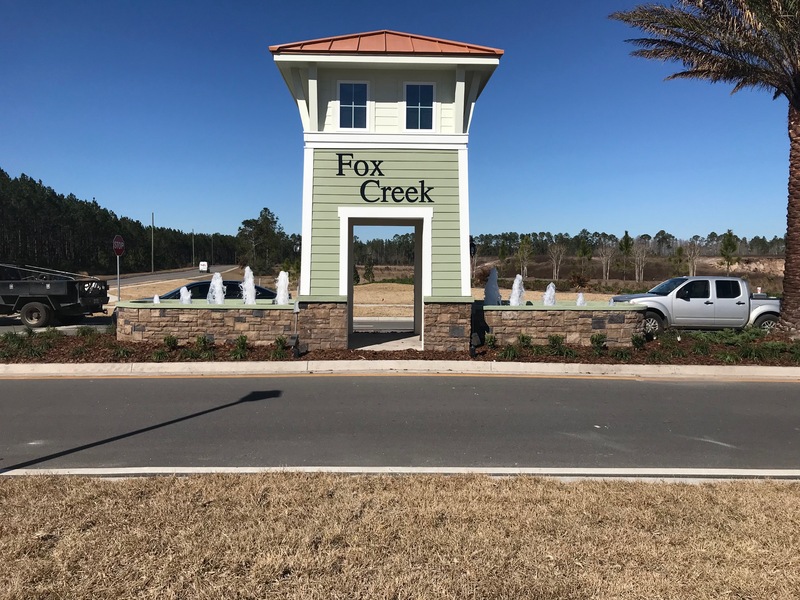 We require the expertise and skills of masons, plasterers, concrete workers, excavators, good old fashioned manual laborers, plumbers, and electricians just to name a few. Each of these skills in combination is invaluable and takes a lifetime to master. Our employees’ commitment to their trade, and subsequently our company, is what makes our business a success. 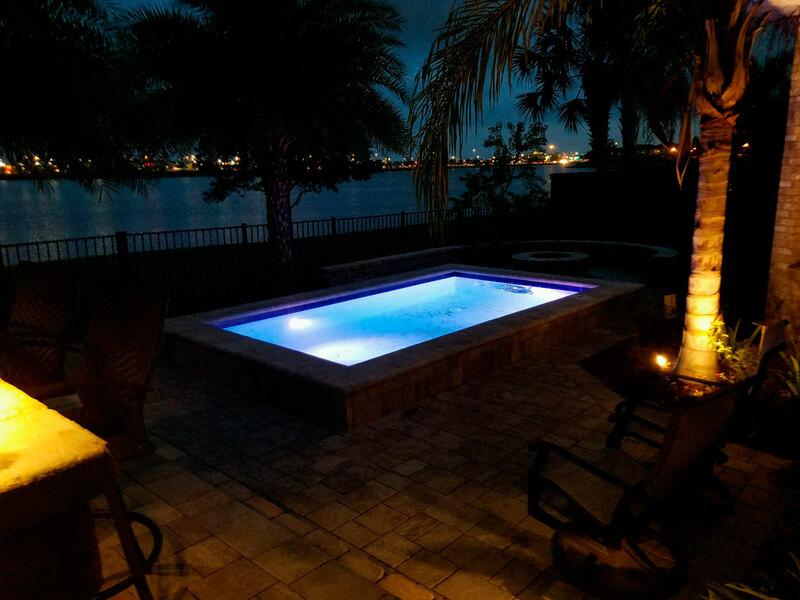 Our custom designed swimming pools are constructed with the finest materials to guarantee quality and durability. Every customer is different, and so is every pool. We cater to that sensibility, offer comprehensive consultations and designs. Each swimming pool is constructed with the highest quality materials. 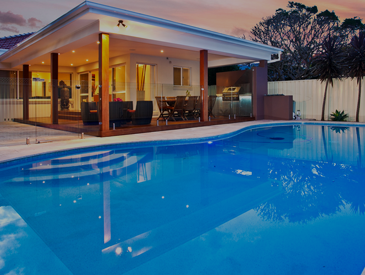 Oak Wells Aquatics is passionate about providing customers with the best swimming pool available. 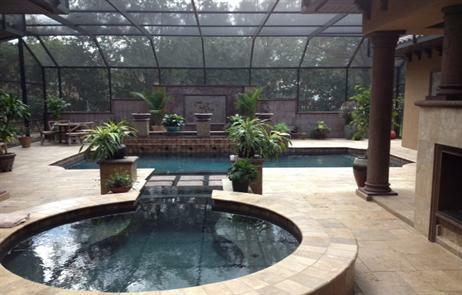 At Oak Wells Aquatics, we cover a wide range of services for our many clients in the Jacksonville Area and beyond. 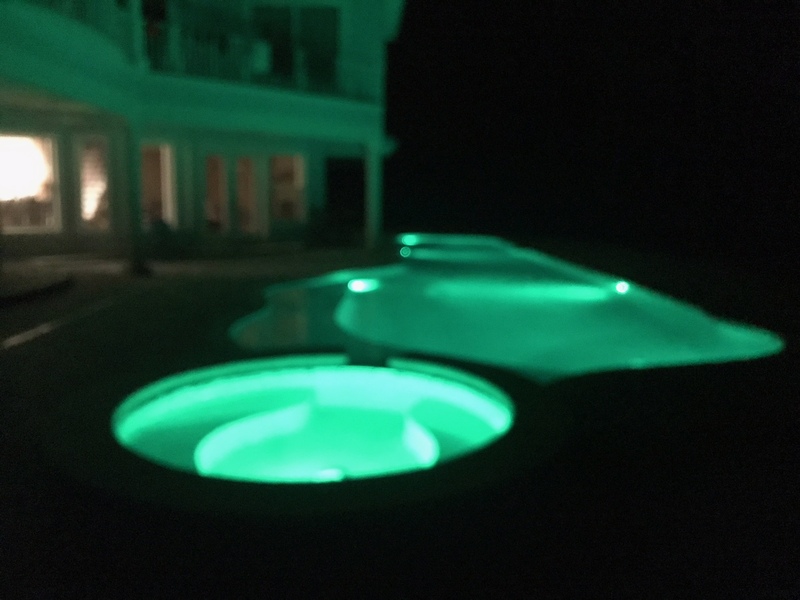 Our highly experienced and creative pool design and construction staff, have been building unique, customized pools and surrounds for many years. 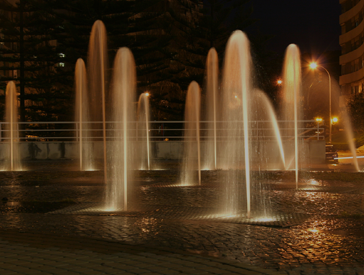 We have successfully handled projects of every size and description, for both commercial and residential use, and we can do the same for you. Contact us today at 904-619-3281 for more information on any of our services listed below, or simply continue to explore our website. 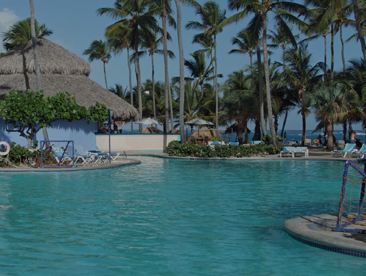 Oak Wells Aquatics excels at assisting owners of hotels, fitness centers, athletic clubs, and other business types increase the value and beauty of their property by adding a custom designed pool. We know how to minimize any disruption to your business during construction, and we will keep you on budget and on schedule! In Florida and the whole Southeast, installing a new in ground swimming pool ranks among the most popular ways to beat the heat. 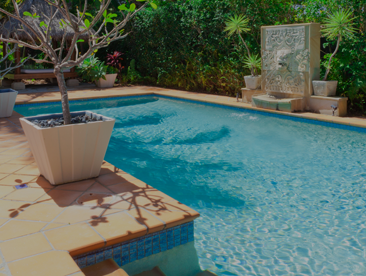 Oak Wells Aquatics can make your home pool plans become a reality, with a custom made pool and surrounds that will add value through exquisite decor, smart design, and durable construction. Want to make your new pool more enjoyable for users of all ages? 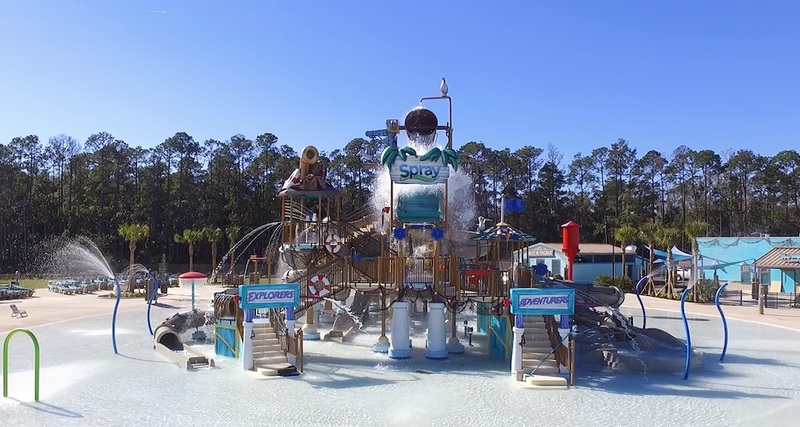 Interactive water features, like waterfalls, fountains, spray pads, water slides, in-pool "toys" and play areas, and more, are a relatively new trend that Oak Wells Aquatics is on the cutting edge of! 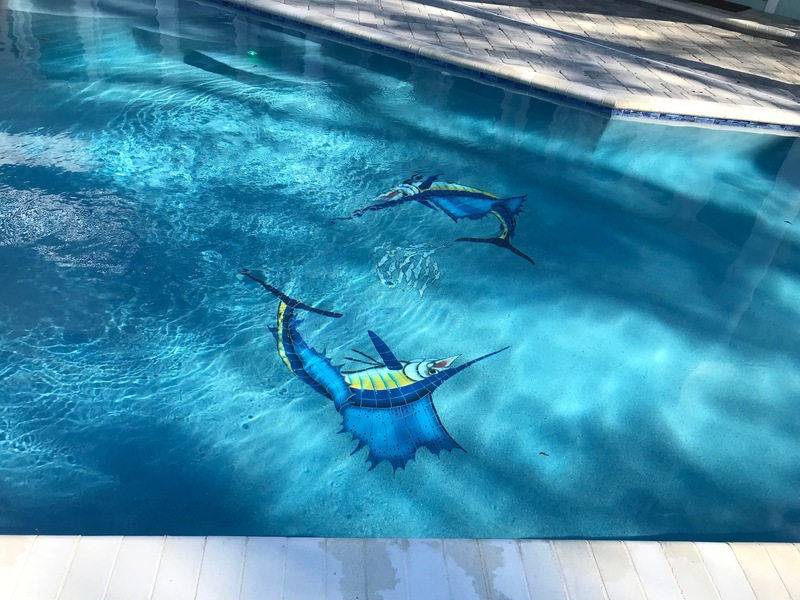 We at Oak Wells Aquatics bring together decades of combined experience, powerful pool design software, a penchant for creativity and innovation, and a determination to make each customer's "pool vision" become a reality. We offer "complete" design services that encompass surrounds, greenery, lighting, decks and patios, and more. 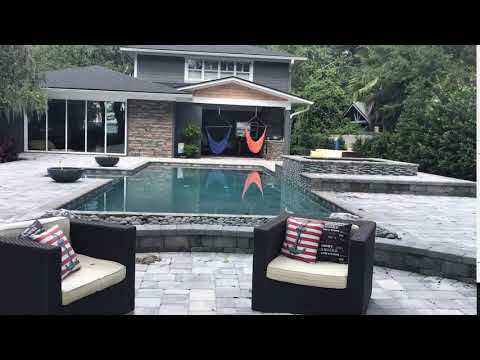 Pool screen enclosures let you get greater use out of your in-ground pool, by shielding you from mosquitoes and other insects as well as leaves, sticks, and debris. At Oak Wells Aquatics, we can protect your pool with a screened or glass enclosure to keep out bugs, UV rays, or inclement weather. 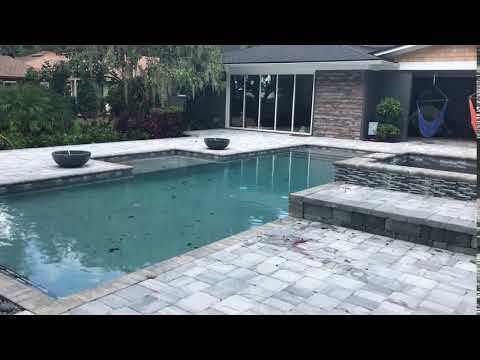 Having a paved-stone patio surrounding and/or nearby your in-ground pool greatly enhances its attractiveness and gives you more space to relax or entertain guests. 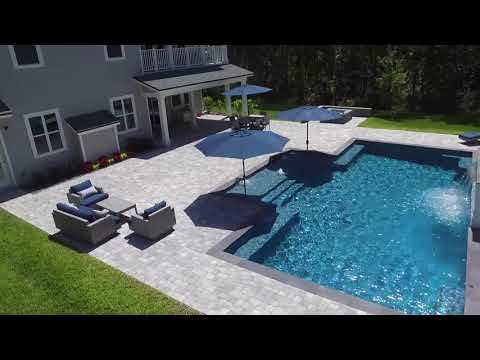 Oak Wells Aquatics can install your pool-area pavers for maximum quality and durability. 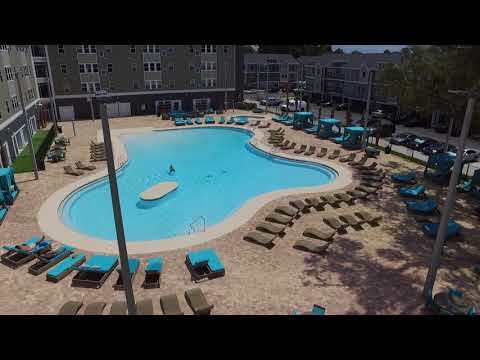 What really set Oak Wells Aquatics apart, to my mind, was the top-of-the-line pool surrounds, pool screening, interactive water features, and other "extras" that they do so well. 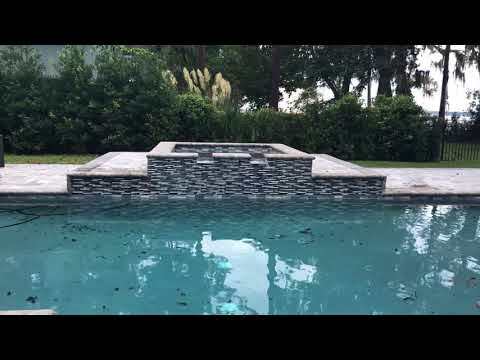 The pool tiles and coping are absolutely perfect, and when you see firsthand how the "guts" of their pools are built, step by step, with concrete, rebar, and layer after careful layer, you know that this is the kind of quality that will last for many years to come. Though based out of Jacksonville, Oak Wells Aquatics had no problem crossing the border to build my pool here in Georgia. And seeing both the process and the finished product, I'm glad they did! 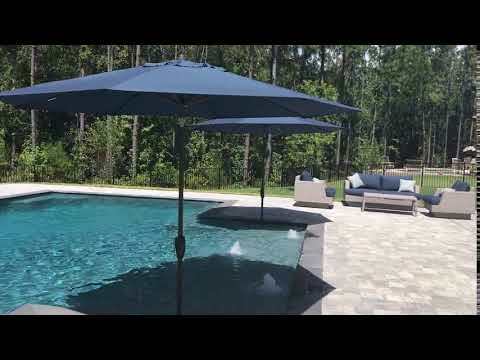 Oak Wells Aquatics built my dream pool to my exact specifications, and I was truly impressed by how quickly and methodically they churned out that level of quality. My new in ground swimming pool is perfectly formed, beautifully tiled, and has exquisite pavements and other features surrounding it. It's like a beautiful picture in a beautiful frame - and it's as wonderful to relax in and use as it is to look at! 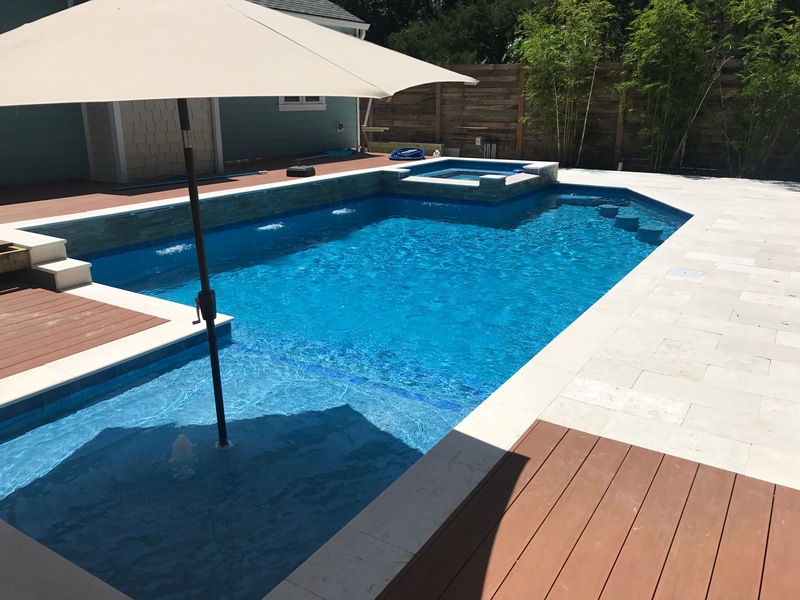 At Oak Wells Aquatics, our staff has many years of experience in installing all manner of in ground pools and related structures and equipment, and we are always happy to answer all of your questions and address all of your concerns before, during, and after the pool installation process. How do I get started on designing my new in ground pool? 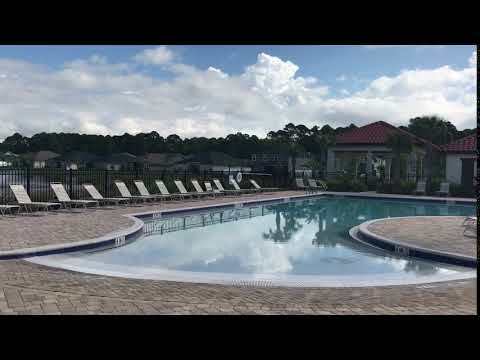 We can listen to your personal "pool vision" as soon as you call us or visit us on-site. We will catch your vision for what you want your pool to do and how you want it to look. We will then give you the benefit of our experienced advice on how you might best go about meeting your goals. From beginning to end, we guide you through the pool design process, helping you to understand what options are out there, what is trending and why, and how each design would factor out as to budget and time-table. But we never "tell" you how you should design your pool: we help you to make an informed decision based on your goals and on our pool-building expertise. How much will my new pool cost to install? Undeniably, cost is a major concern and one of the first questions asked by many about their future in ground pool. The truth is, that the cost varies wildly depending on the nature of the project. 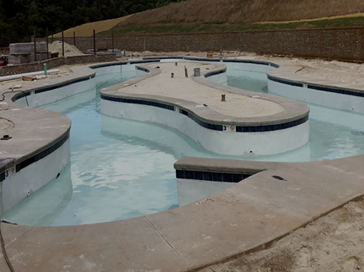 The national average for in ground concrete or gunite pools is between $30,000 and $50,000. The more quality you pour into your pool, of course, the more it will cost. Balancing size, materials, pool surrounds and accessories, and other cost-affecting factors can be challenging, but you have to have a good idea upfront in order to properly budget your project. 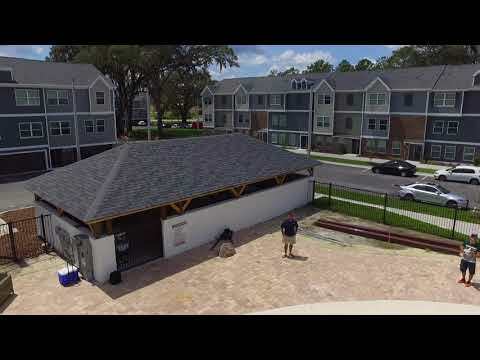 We at Oak Wells Aquatics can give you a good ball park quote even over the phone, knowing just the basic facts about your prospective pool. An on-site inspection will allow us to then give you a very close quote you can plan and budget on. And we know how to save you money on your project, while still allowing you to achieve all of your pool-related goals and dreams. How long will it take to fully install my new in ground pool? "How long will it take?" is often the very next question on the heels of "How much will it cost?" And again, the answer will vary greatly from pool to pool. The time frame will vary based on the size and type of pool, its dimensions, the lay of the land in which it is installed, the ease at which one can get a building permit in your area, and the presence of surrounding patios and other pool-side (or in-pool) amenities. What kinds of pool area amenities can Oak Wells Aquatics install? At Oak Wells Aquatics, we can install paved poolside patios, in or near pool benches, steps, and other seating, gazebos and pergolas, landscaping greenery and hardscapes, fountains and waterfalls, interactive water features, hot tubs, spray pads, pool fences, pool screens, overhead and safe in-pool lighting, and more. 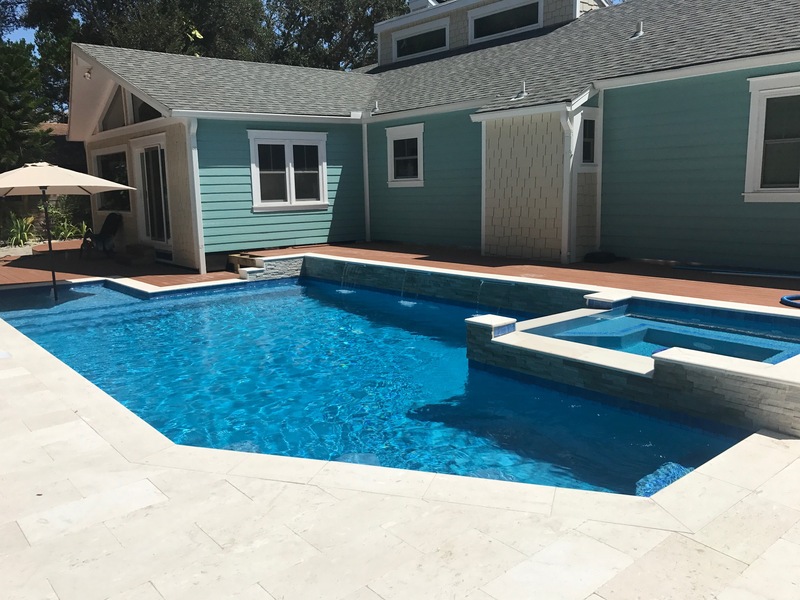 In short, we not only can install for you an exquisitely styled, highly durable pool that will last for years and even decades to come, but we can help you create an entire "pool area" that will be ideal to relax in or enjoy with family, friends, and party guests. Do you install commercial or residential pools? The answer to this question is "yes." 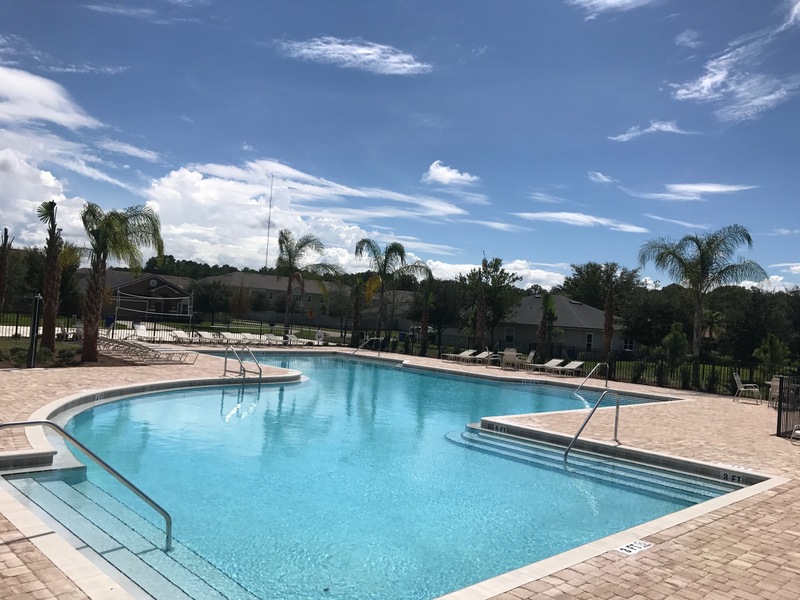 We at Oak Wells Aquatics have installed numerous hotel and fitness center pools and pools for other businesses in the Jacksonville Area and beyond. But we have also installed untold numbers of high-quality residential pools for our large and growing customer base. 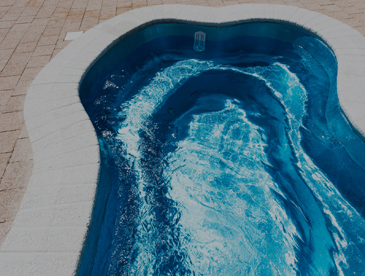 Whether commercial or residential, we customize your pool to your exact specifications and work on a schedule that is convenient to you, to minimize any disruptions to your home life or business activities during the construction process. What are the benefits of screening in a pool? But screens also keep out blowing leaves and debris, insects other than mosquitoes, and unwanted animals and birds. Plus, they provide a limited amount of shade and a partial wind-break. A glass, aluminum framed pool enclosure is another option, which would add protection from UV rays and from rainfall. Will my pool design go well with my home/business' exterior? Yes, we can make your pool's looks match or complement that of your building. 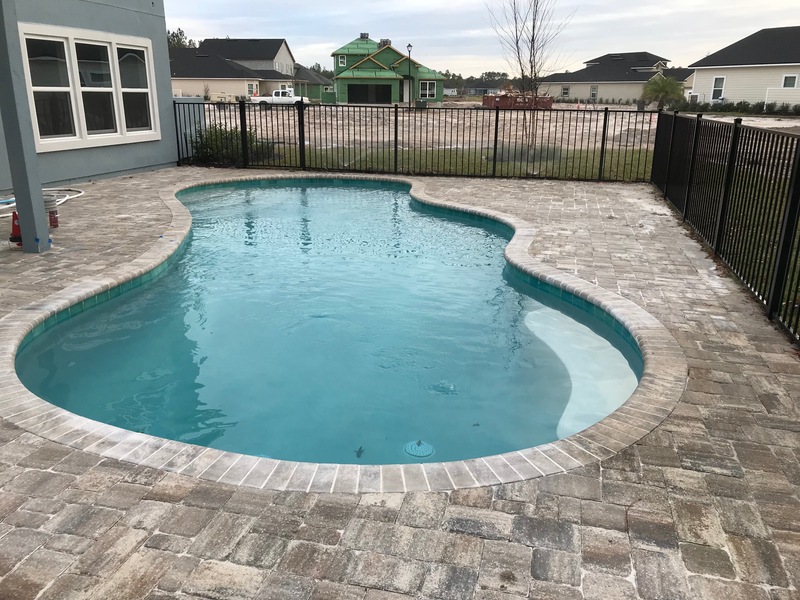 Everything from the contours of the pool to the colors and patterning of its tiles, coping, and surrounding pavement can be taken into account. We know how to create an integrated overall impression that makes your building's exterior, pool, and pool surroundings all blend into "one." How long do I need to run my pool filter? As to running your filter, 8 hours a day is plenty when water temperatures are below 80 degrees Fahrenheit. Some even run it as little as six hours in such conditions. But in the hot season or when you have the water well heated, you should run the filter 10 to 12 hours per day typically. Should I drain my pool once a year? We strongly suggest you do not need to drain your pool annually, and that if you do drain it sometime, that it not be during the winter months. 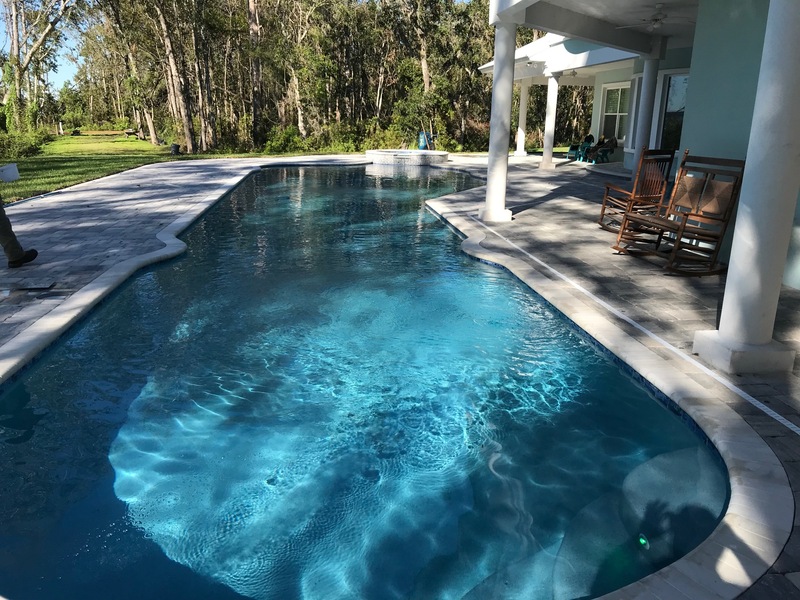 Even in Florida, a rare cold snap could damage a pool bottom not covered with any water. How long should I wait after chemical treatment to swim in my pool? Although it depends on the kind and quantity of chemicals used and on your pool's size and temperature, you should generally wait 8 to 12 hours before swimming.